Toothpaste which works with your body to naturally give your mouth a good, thorough clean. The sea salt in this toothpaste will naturally make your mouth water, creating more saliva to help do what it does best and help keep your mouth clean and healthy. To help tone gums natural extracts of chestnut bark, ratanhia root and myrrh have been added to the toothpaste. While all that is happening there are also rough particles which gently clean the teeth, stopping any build ups of tartar or plaque, preventing cavities. Essential oil of peppermint has also been added to the formula to make this zesty, salty toothpaste taste extra fresh. This toothpaste is suitable for vegetarians and does not contain fluorides. Directions: Regular brushing twice daily with Weleda Salt Toothpaste prevents staining and tartar build-up. For best results, use on a dry toothbrush. Sodium Bicarbonate, Water (Aqua), Glycerin, Silica, Mentha Piperita (Peppermint) Oil, Prunus Spinosa Fruit Juice, Commiphora Myrrha Resin Extract, Krameria Triandra (Ratanhia) Root Extract, Aesculus Hippocastanum (Horse Chestnut) Bark Extract, Arum Maculatum Root Extract (in highly diluted form), Sodium Chloride, Cyamopsis Tetragonoloba (Guar) Gum, Simmondsia Chinensis (Jojoba) Seed Oil, Alcohol, Esculin, Lactose, Flavour (Aroma), Limonene*, Linalool*. *from natural essential oils. The Weleda Fluoride Free Toothpaste - Salt - 75ml product ethics are indicated below. To learn more about these product ethics and to see related products, follow the links below. 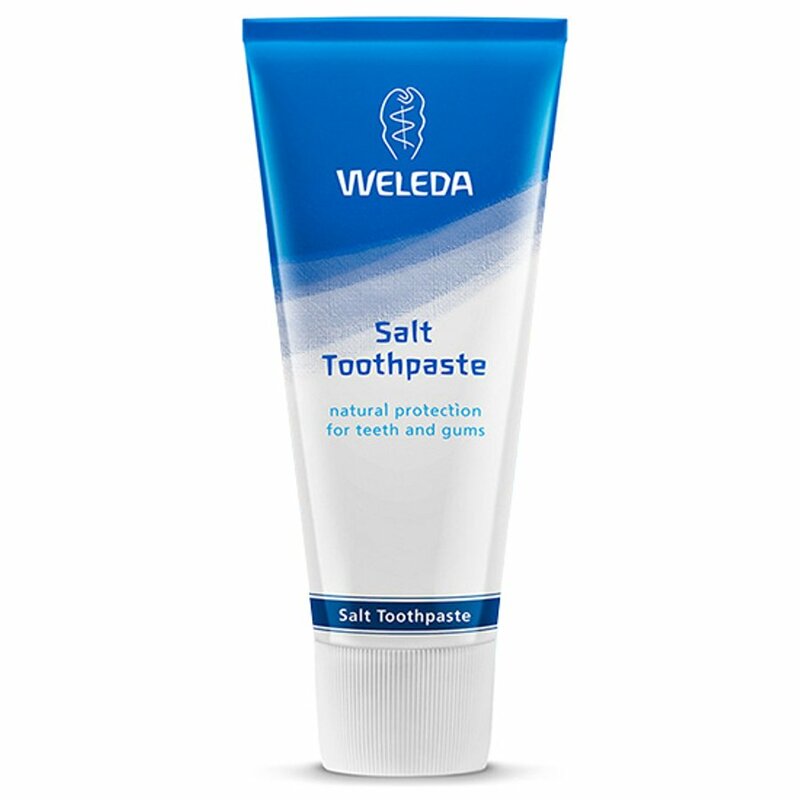 There are currently no questions to display about Weleda Fluoride Free Toothpaste - Salt - 75ml.